Web design encompasses many elements of design and function but it really boils down to having a strategy to producing a fantastic asset for business growth. We’ve now had over 20 years to adjust to the idea of the Internet and websites, which means that we’ve got a lot more experience with designing for the medium. It also means that we’ve got an entire generation of people who’ve never known what it was like to not have access to every kind of information imaginable just a click or a swipe away on some website. And that means that people have gotten more discerning and standards have gone up. These days, an effective website is far more important than a business card, brochure, or other form of marketing, because it is often your first contact with a potential customer or client. If you want to make sure that experience is a good one, there are seven components of good web design you need to make sure you’ve implemented. We’re years past the point where people click on buttons or titles on your website and wait patiently for things to load, or other things to happen. 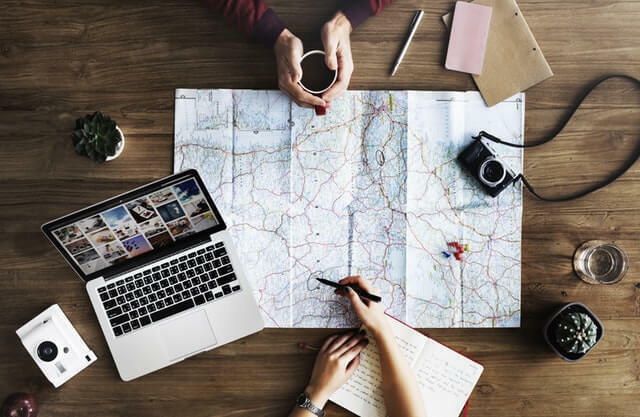 Someone on the Internet has millions of other options a click away, so a sluggishly responding web design is tantamount to telling a visitor to go somewhere else, which they can easily do. Another key point with responsiveness is platforms, specifically, mobile versions. The smartphone is a ubiquitous device now, and vast numbers of people regularly consult the Internet on it. If you don’t take the time to make sure you have a mobile-friendly version of your website, you’re definitely turning away some potential business. Make sure that when you create your desktop/laptop version of your website, you’ve got something that works just as well for phones and tablets too. The Internet is constantly changing, and most businesses and industries are too. That means that what people are looking at now, and the words they use to get results on a search engine are also going to be changing. You may update whatever products or services you offer. Or, you may simply notice that now people are conducting searches for similar products and services, but they’re not using words you’ve included in your SEO lists. If you don’t update your SEO terms, you could be losing potential business to competitors that are keeping track of what, and how people are using search engines to arrive at their websites. Follow your industry or business, not just in terms of professional developments, but online ones as well. Make sure that you periodically take a look at the search terms people are using, which ones are the most popular and effective and compare that with your own SEO usage to see if you’re still remaining competitive. 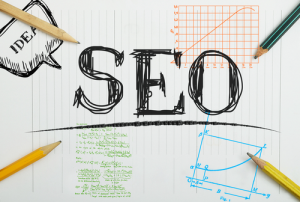 Sometimes, one word can make all the difference, so make sure it’s in your SEO practices. Making in local and relevant is the best way to make Boston SEO work for your site. Your web design is not just your first impression; it is your welcome mat, your front door, and often your receptionist, salesperson, or brochure that explains your identity and business to the entire world. That’s why if your website is difficult to use, this also reflects on you and your business. Make sure that your user experience is responsive and easy. Go over your layout to make sure it’s not too cluttered looking or disorganized. Make the user interface obvious to find, and painless to interact with. When someone is thinking of giving you money, you should not make that experience difficult for them. If you don’t trust your own web design sensibility, or have much experience in optimizing a good, efficient user interface, then get experts to help you. In the same way you probably don’t want to paint your physical storefront and construct your own furniture for it, you shouldn’t be doing the same for your virtual storefront if you’re not confident you have the requisite web design skill to do it professionally. As with parties and business meetings, you often only get one shot when it comes to making an impression on the Internet with your website. Do what you can to make sure that it is a positive, easy one. When people come to your website, they are looking for something useful. Depending on the nature of what you do, this may mean something informative, something entertaining, perhaps even a little bit of both. But the bottom line is, whatever someone finds on your website should be meaningful in some way to the purpose of their visit. This means that, at the minimum, you should clearly explain whatever your product or service is so that people have a clear understanding of what you’re offering. Beyond that, however, you should also offer more. For example, regularly updated articles or blog posts that cover your area of expertise can not only inform visitors about the nuances of what you do; it can also prove your own credibility by demonstrating your knowledge. For more impact, you can even move into more dynamic, multimedia content, such as podcasts, videos, and other media to engage people with different interests. What’s important is that you provide content that attracts visitors and even keeps them coming back for more. 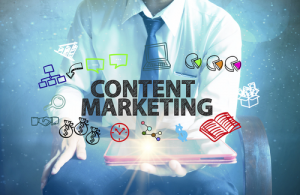 Content marketing allows you to tell your story while building authority and credibility. This is definitely more of a technical consideration, but it’s one that is very important to the user experience of your website. It’s quite unlikely that, if you’re operating a business website, you will be able to keep it entirely “closed.” That is, you’ll have a web design that won’t have any need to use other 3rd party apps or tools, such as video playback, or handling transactions, like PayPal and others. 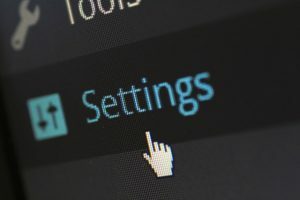 You need to ensure that your website “plays nice” with other business tools that you—or your customers—may want to use. Once again, if someone wants to give you money, do not make it difficult for them to do so. Make sure that any other apps, tools or supplementary software that is good for your business dealings actually runs smoothly on your website. You do not want something as basic as PDF documents breaking on your website when this could better explain your business, product, or service in depth. And you definitely don’t want someone who is trying to make a purchase be unable to do so because none of their preferred payment methods are working correctly. This is another technical consideration, but the big difference here is the substantial, direct benefit is for you, which then spills over to the visitors of your website. We’ve already gone over how important it can be to provide good, useful content for your website, and that’s for the sake of your visitors. However, you need to be able to provide that content, change it, update it and add more in an efficient way. If the actual act of getting your content onto your website is inefficient and troublesome, this is going to have a domino effect on the timeliness of your website. You won’t want to update things as frequently because of the struggle this involves, and this means visitors may prefer to visit other, more frequently updated websites in turn. By making the act of updating content easier on yourself, you will benefit visitors. Make sure this process is as easy and painless as possible either for yourself, or those you engage to update your website for you. Simpler and easier also means fewer mistakes, and an easier time correcting them should they occur. The last thing you will ever want for your business is to have unhappy customers that point at you and your web design as the reason that they are now compromised either in terms of identity or fund theft. Unfortunately, we’ve seen this kind of thing happen before, and not just to small businesses, but even very large, web-centric companies. In recent years, Internet giant Yahoo reported a break-in and theft of user data. Even large electronics companies like Sony aren’t immune to this, as they’ve also had incursions that resulted in the real theft of identity details from customers. No one wants to think about these kinds of things because of how unpleasant they are, but security should be a major issue you work on with your website design. This is especially true if you handle some kind of financial transaction that will require the handing over of personal details like credit card numbers or other key elements of financial identity. By following these seven principles, you can create a professional website that effectively communicates what you have to offer to the people that are looking for it. You can even make it easier for them to find you. And once you do, you can let your own work or products speak for themselves in the minds of your customers. To make sure you are able to optimally leverage your greatest marketing asset consult with a marketing consultant that can guide you to success. Web Design vs Function? Both Contribute to Your Bottom Line!